Providing a variety of entertaining events including bingo, dancing, singing and even exercise classes, The Sunshine Club is a weekly social event for Bield tenants, residents of council-owned sheltered housing and the local community. Our original press release can be read in full here. 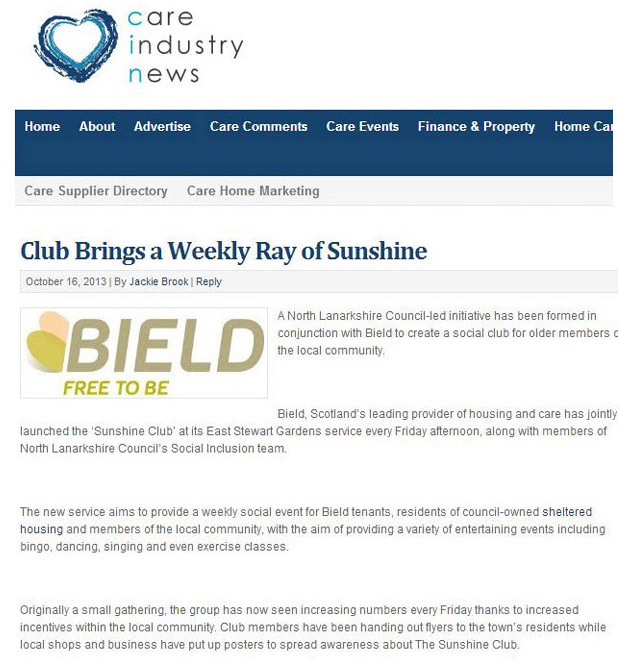 News of this new social initiative was featured in local newspapers the Airdrie and Coatbridge Advertiser and the Evening Times as well as being covered online by Care Industry News, a resource specialising in the care industry. If your business could benefit from a combination of print and online coverage such as this, why not see how Holyrood PR can help?